Are you ready for some football? Super Premium Football? 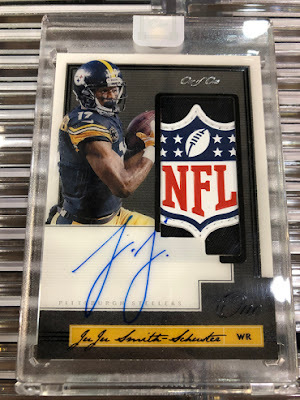 Panini has come up with a ALL-NEW "One Hit Per Box Wonder," set to take the football collecting hobby by storm this Friday. 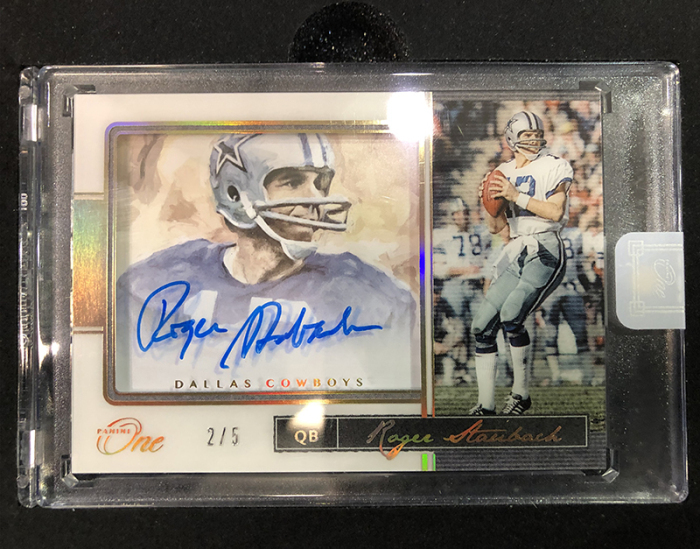 Featuring a checklist which only includes the top rookies, stars and legends, 2018 Panini One Football delivers value in every box. While not promising a profit in every box, every card will be very sell-able. 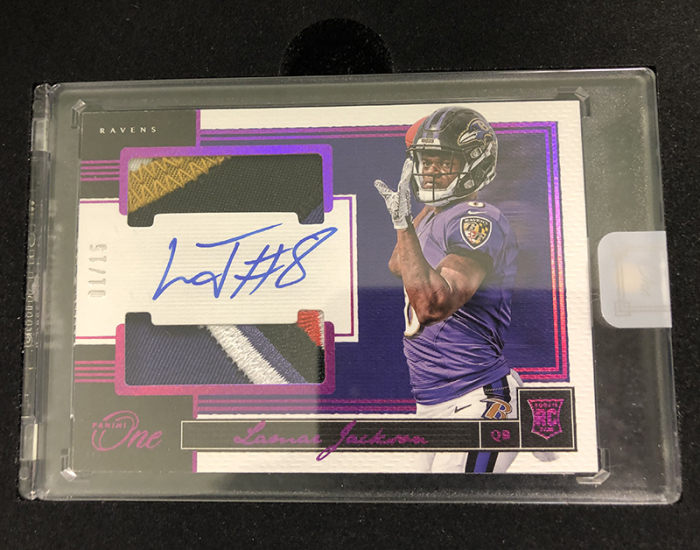 This product reminds me of "One Card Products" such as Leaf Best of Football (repackaging previous released cards) which retails for $185 per box and Topps Dynasty Baseball (consists of many variations, each numbered to 10 or less) which retails for $375 per one-card-box. (1) Autographed Card – Signed ON-CARD in Every Box! Rookie Patch Autographs – Custom embossed card stock with ON-CARD autographs and OVER-SIZED Patches, max #’d to 199. 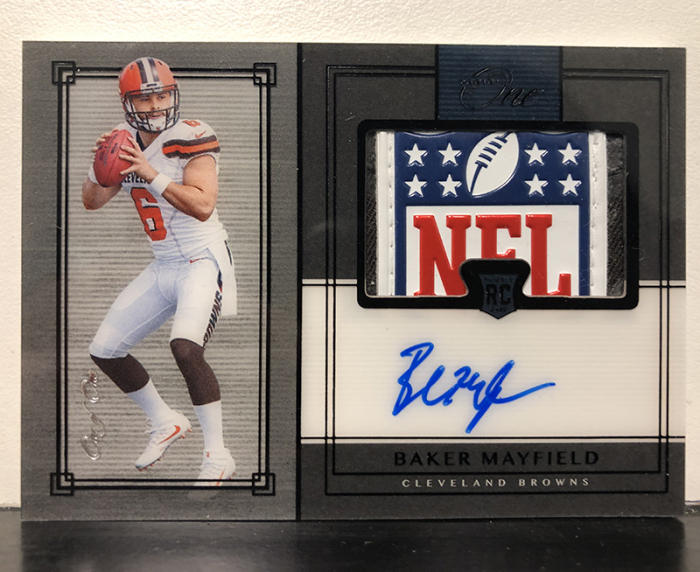 Rookie Dual Patch Autographs – Single player card that includes two perfectly framed patches with an ON-CARD autograph, max #’d to 199. Premium Rookie Patch Autographs – Produced on acetate card stock! Rookie Autographs – RARE autos from top rookies in this non-patch auto set, max #’d to 199. Quad Patch Autographs – Single player cards with a checklist full of Hall of Fame players! 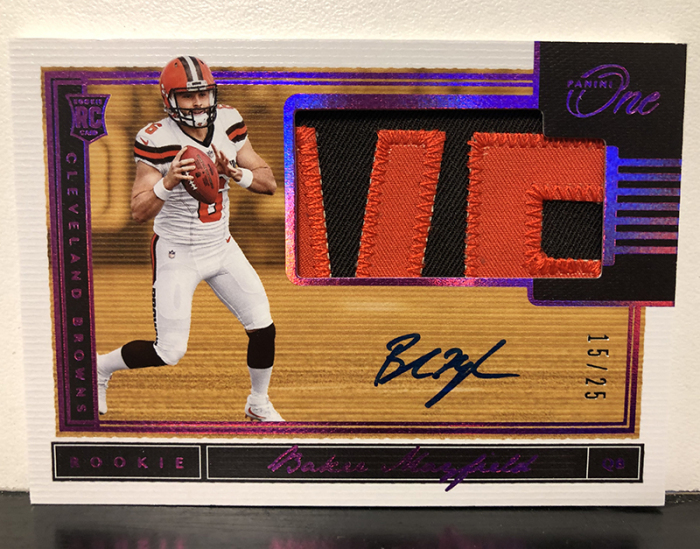 Patch Autographs – Look for veteran names including Russell Wilson, Deshaun Watson, Aaron Rodgers, Patrick Mahomes, Peyton Manning & MORE! Patch Autograph Variations – Showcasing a classic darkened design on acetate! 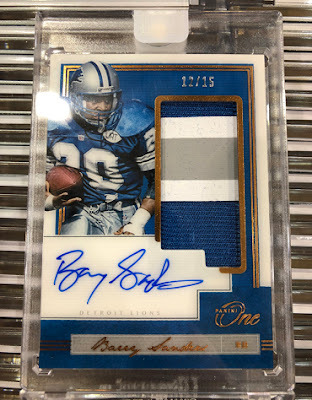 Dual Patch Autographs – Two patches perfectly framing the player’s autograph! Autographs – This shadowbox autographed set includes top names like: Tom Brady, Aaron Rodgers, Randy Moss, Emmitt Smith & Many More!